- new to your career, striving to establish a reputation in your profession. - at mid-career, feeling like you've plateaued or stalled, and need to build influence. - working in the "gig" economy, freelancing, and seeking contract work. - starting your own business, or becoming a consultant. - between jobs and trying to find a new opportunity. Based on thousands of conversations with people seeking more visibility, the authors outline actions that even the most reserved can take to increase their visibility without violating their integrity or values (and without triggering a panic attack ). Illustrated by real-world examples, it is full of practical approaches, immediate tips, and ideas to implement. 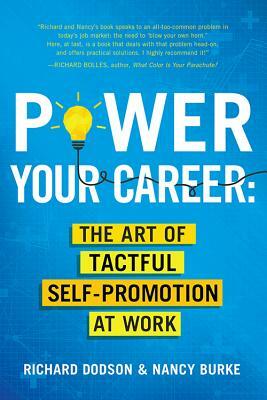 Power Your Career: The Art of Tactful Self-Promotion at Work will help you find ways to promote yourself--tactfully.